Willkommen!Willkommen auf unserer Internetseite! Wir hoffen Sie finden was Sie suchen und kommen bald wieder. 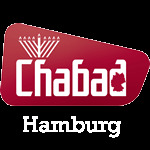 Tourist InfoNeed a place to eat on Shabbat? Where to find Kosher food? Where to stay? Looking for a place to pray? We can help you with all your Jewish needs. Click here!